With the rapid rise of mobile technologies, it has never been easier for travel consumers to share and access information. This massive shift to mobile isn’t just a consumer phenomenon; it’s happening inside enterprises as well. Today’s hoteliers are no longer chained to their office desks; social media and online reputation management (ORM) has become a 24/7 job that demands real-time attention. Will make sharing feedback faster and easier. 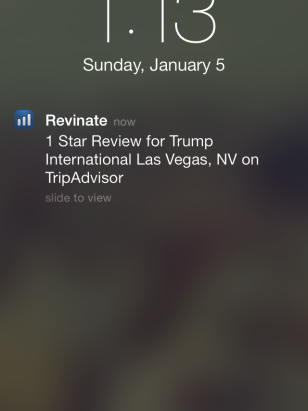 With a mobile app, members of your staff can monitor online review and social media feedback in real-time, respond immediately to emerging guest issues, and interact with one another quicker than ever before. Will give online feedback more visibility across all departments. 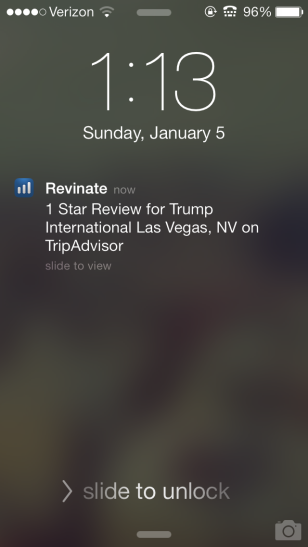 Mobile push notifications – whenever new reviews or mentions are received – elevates the visibility of guest feedback across all users. The ability to share guest comments via text message similarly increases the likelihood that all departments, regardless of their email usage, see the content that’s most relevant to them. Will make day-to-day operations more efficient and flexible. A mobile solution offers your staff members a chance to respond to a guest concern no matter where they are or what they’re dealing with. This flexibility allows your hotel operational teams to remain responsive yet still engaged on the floor without causing significant delays or disruptions. To learn more about how mobile technologies can help hoteliers remain engaged with their guests, join us of our webinar on January 22/23.